Three youths from Myanmar were awarded the first winner in the UN Global Pulse Lab’s Big Ideas competition for climate action this year. 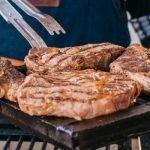 They developed an application that enables users to measure methane emissions from the food they eat, including beef, chicken, pork and insects. What’s striking is the fact that these high schoolers understand the impact of shifting the diets from resource-intensive animal protein such as beef to environmentally friendly animal protein such as insects to mitigate climate change. During the commemoration of Independence Day, President Joko “Jokowi” Widodo inaugurated the Semanggi Interchange and joined the crowd in complimenting the city for its breakthrough achievement. But what lies behind that celebration, unfortunately, is abuse of the land use regulation. 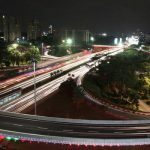 The interchange was constructed by PT Mitra Panca Persada as part of Rp579 billion (US$43 million) in compensation for additional floor area ratio (KLB). Since April 1, Thailand has closed its Andaman Bay for commercial fishing and will maintain the policy until June 30. In a similar maneuver, China will adopt a moratorium on fishing in its waters from the Yellow Sea to the East China Sea and the South China Sea from May 1 to September 1. 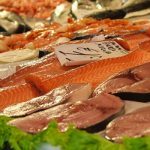 Altogether more than 250,000 fishing vessels will be affected, and many of them will venture further to catch fish to avoid the costs of stopping operations completely. 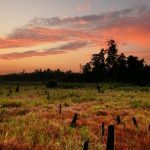 The Government of Indonesia deserves high praise for its numerous commitments to protect and restore peatland over the past several years. At the start of this year, the Ministry of Environment and Forestry (KLHK) announced the Ministerial Regulation No. 40/2017 regarding government facilitation of Industrial Tree Concessions (HTI) within the framework of the management and protection of peat ecosystems.While the Government Regulation No. 57/2016 on the management and protection of peatland obligate the enterprises to protect peat areas under a conservation status, the aforementioned Ministerial Regulation provides a compensation scheme for HTI companies by allowing them to seek for land swap – to obtain substitute land for their working areas that falls into conserved peat ecosystem category. One day in 2015, Saripah, a 22-year-old young girl, said softly: “Mother, I’m having a hard time breathing.” Saripah’s mother, Siti, immediately took her to a hospital, but unfortunately her daughter soon died of lung failure. Her respiratory organs looked dark although Saripah never smoked. Siti said that the smoke from peatland fires had killed her daughter. 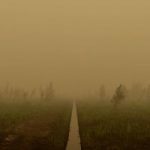 If we try to look back and think about why fires are such a regular occurrence in Indonesia, we should know that the problem lies in how we manage our forest and land. This weak forest and land governance is often influenced by inaccurate, incomplete and outdated reference maps, causing issues such as slow spatial planning process, overlapping of concessions and licenses as well as growing conflicts involving local communities. Growing up Muslim in Indonesia is a privilege. It is not hard to live as a member of the majority, and this can lead us to have a narrowed worldview, usually at the expense of minorities. Are Muslims and Javanese the majority in Indonesia? Probably. What about Chinese and Christians? Probably the minority. Shiites or Ahmadi? Probably marginalized. With privilege comes a responsibility to speak up for fairness, against injustice. The appointment of Arcandra Tahar as the energy and mineral resources minister signaled strongly that the focus of President Joko “Jokowi” Widodo had shifted back to oil and gas, as well as coal. This can be observed by several steps taken by minister Arcandra in his first 20 days working, including extending Freeport’s license to export concentrates, resuming negotiations regarding the Masela block and Indonesia Deepwater Development (IDD) projects, as well as cancelling the launch of feed-in tariff (FIT) solar power. For the majority of Indonesians, Ramadhan is not only a month of spiritual journey, but also the time when they experience recurring food price hikes, which are largely caused by skyrocketing demand for certain foods. To address this annual issue, President Joko “Jokowi” Widodo last week assembled his economic ministers to implement a series of actions to curb food prices in the market, especially of beef. In a market mechanism of supply versus demand, a high demand for beef by a large number of the population indeed creates significant economic benefit for some people, but one needs to look beyond that. Indonesia is currently at a crossroads. Having survived the Asian financial crisis in 1997-1998 and returned to democracy, Indonesia has shown impressive social and economic progress, with average economic growth of 5.7 percent between 2003 and 2012. The growth contributed to Indonesia’s “graduation” to a middle-income country and to reducing the poverty rate from 24 percent to 12 percent in the period of 1999-2012. It is very likely that Indonesia will become the world’s seventh, sixth, or even fifth largest economy by 2030.